Help your children thrive in their French Exams with our expert French tuition for High School Students. ELITE offers extra tuition for High School Students to assist them in achieving the highest scores possible during their French exams. Check out our Year 12 French Holiday Boot Camp Here! Check out our French IB Summer workshops and Boot camp Here! Each lesson lasts 1 hour per week. Focuses entirely on your child’s individual needs in a private environment. 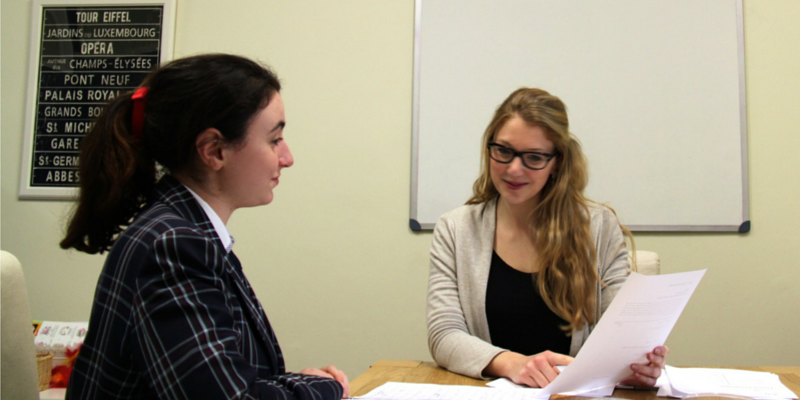 Intensive tuition in the build-up to exam periods. Focuses entirely on your child’s individual exam requirements in a private environment. Available all year round, no need to follow the school terms. Available all year round, for all ability levels during school holidays. Stay up to date with forthcoming courses and events. Our tuition is based on mandatory topics and prescribed themes from the school curriculum. The components of Speaking, Writing, Listening and Reading will be thoroughly covered during the term. We want to consolidate what our students cover at school as well as reinforce the basics. We do an assessment of the student’s level and work towards improving their weaknesses. Term 1 runs from 29th January 2019 until 13th April 2019 (11 weeks). Term 2 runs from 29th April 2019 until 6th July 2019 (10 weeks). Term 3 runs from 22nd July 2019 until 21st September 2019 (9 weeks). Term 4 runs from 14th October 2019 until 21st December 2019 (10 weeks). All of the teachers working at ELITE have been through a rigorous process of selection. They all have professional experience teaching French to high school students in France and in Australia. They have a proper teaching degree and are passionate about their jobs. They are all familiar with the curriculum of the Board of Studies and have experience working in schools in Sydney, such as Redlands, Wenona, Shore, Killarney Heights, Queenwood and Alliance Francaise. We believe that being taught by a native French teacher is key to developing the correct pronunciation from the very start. Please contact us if you have a question or require more information about enrolment.